(by Rory Jones and Orr Hirschauge) — TEL AVIV— Shimon Peres, the Israeli statesman who earned a Nobel Prize in 1994 for his tireless efforts to forge peace with Palestinians, died on Tuesday. He was 93. The former Israeli leader suffered a major stroke earlier this month. His condition deteriorated significantly on Tuesday and he passed away due to complications, his family said. Israeli Prime Minister Benjamin Netanyahu and his wife, Sara, expressed “deep personal sorrow” over the death of Mr. Peres, according to a statement. The Israeli prime minister will issue another statement later Wednesday and convene the government cabinet in special session, it said. 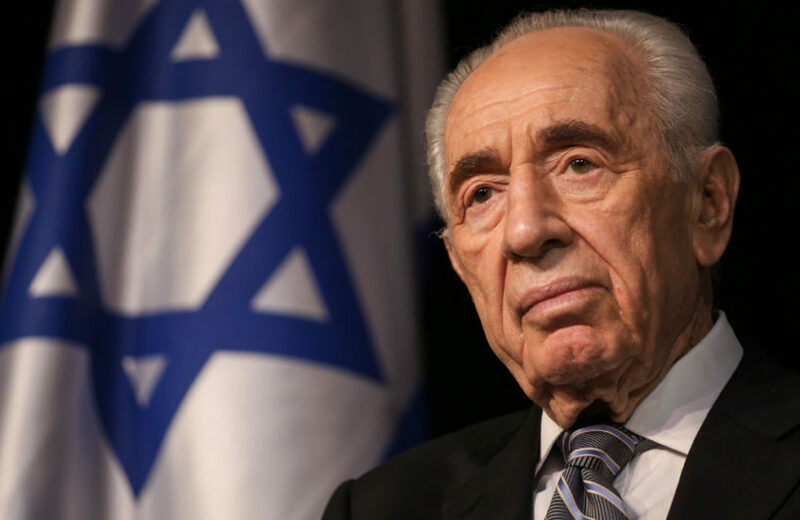 Mr. Peres’s body will from Thursday morning lie in state at the Knesset, the Israeli parliament, a foreign ministry spokesman said. He will be buried Friday in a state funeral at Mount Herzl, the country’s national cemetery, in Jerusalem. President Obama is expected to attend the funeral, according to the Israeli Foreign Ministry spokesman. Former U.S. President Bill Clinton and his wife, Democratic presidential nominee Hillary Clinton, as well as Britain’s Prince Charles are also expected to attend, he said. Israeli President Reuven Rivlin said he would return early from a state visit to Ukraine to mourn. “There is not a chapter in the history of the State of Israel in which Shimon did not write or play a part,” he said in a statement. Israel’s education minister and Jewish Home party leader, Naftali Bennett, said schools across Israel would begin Wednesday with a lesson on Mr. Peres. Issac Herzog, the Israeli parliament’s opposition leader, said Mr. Peres had “shaped the face” of Israel since its founding in 1948. “He contributed to Israel’s security and deterrence, he fought resolutely against terrorism, and he relentlessly pursued peace,” he said in a statement posted on Facebook. Mr. Obama said Americans owed Mr. Peres a debt of gratitude for his efforts to strengthen ties, stretching back to his work with the administration of John F. Kennedy. “No one did more over so many years as Shimon Peres to build the alliance between our two countries,” he said. “Shimon was the essence of Israel itself—the courage of Israel’s fight for independence,” Mr. Obama said. Over a seven-decade career, Mr. Peres served as prime minister, president and Labor Party chief. He was the last surviving member of a group of leaders who witnessed the creation of the state of Israel in 1948, including David Ben-Gurion, Moshe Dayan, Golda Meir and Ariel Sharon, among others. 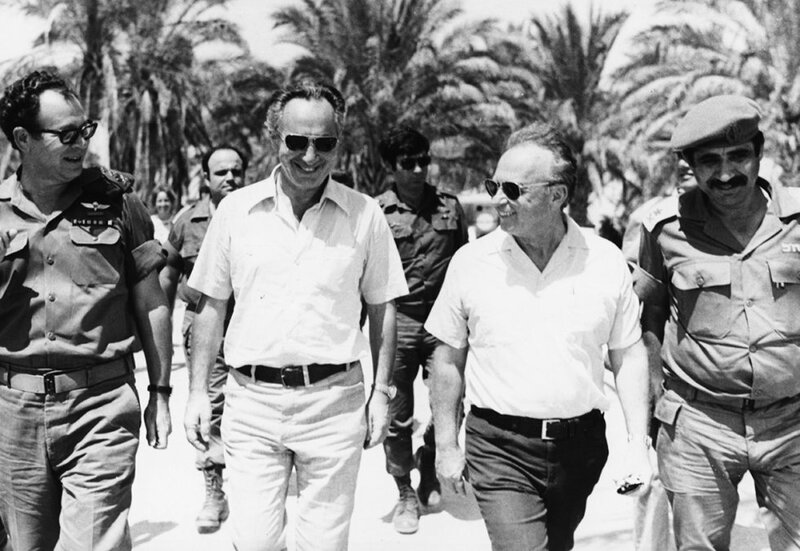 June 1967: Shimon Peres (second left) walks with Israeli Prime Minister Yitzhak Rabin (second right) and Deputy Chief of Staff General Yekutiel Adam (right) and Mordechai Gur (left), during a tour of the forces on the Egyptian Front in Sinai during the Six Day War. At the height of his career, he won the Nobel Peace Prize in 1994 for negotiating the Israeli-Palestinian peace deal that became known as the Oslo Accords. He shared it with Yitzhak Rabin, a rival Labor leader, and Yasser Arafat, the longtime Palestine Liberation Organization chief. The Oslo Accords, first signed in 1993, outlined steps toward a two-state solution to the decades-long Israeli-Palestinian conflict — a vision that still hasn’t been realized. “We have to make peace with the Palestinians,” Mr. Peres said in a video interview posted in 2015 by the Peres Center for Peace, a nonprofit organization he set up in 1996. “There’s no way to achieve it in my opinion without a two-state solution.” ….. NOTE TO STUDENTS: Before answering the questions, read the “Background” and watch the videos under “Resources” below. 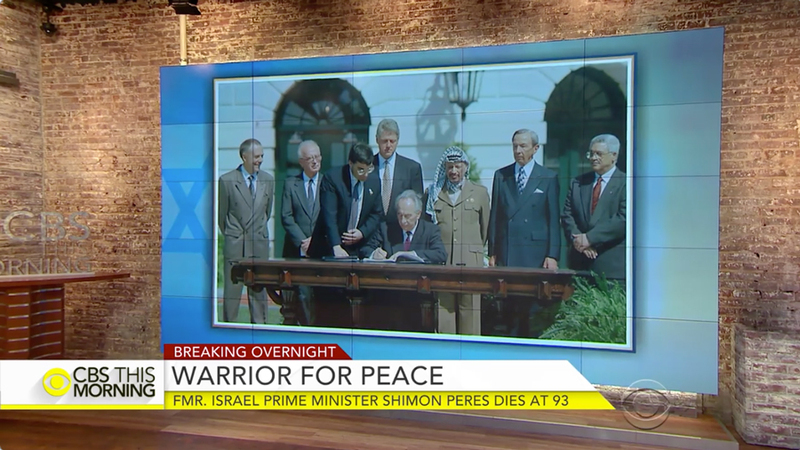 1. a) Why did Shimon Peres receive the Nobel Peace Prize in 1994? b) What were the Oslo Accords? 3. How will schools in Israel honor Shimon Peres this week? 4. a) What are the funeral arrangements for Shimon Peres? b) Which world leaders will attend? 5. Especially in his later years, Shimon Peres promoted liberal views on how to achieve peace with the Palestinians. Read the “Background” below. How did his work in earlier years as the director-general of Israel’s Ministry of Defense help achieve peace with Egypt by implementing a conservative view on how peace can be achieved? 6. Ask a parent: Do you think Egypt would have signed a peace deal with Israel if Israel did not have nuclear weapons? Please explain your answer. Known as the father of Israel’s aerospace and nuclear programs, Shimon Peres was first elected to the Knesset (parliament) in 1959. He was the country’s longest-standing parliamentarian and served in 12 governments. At age 83, he was chosen to serve a seven-year term as president, a largely ceremonial post. Initially, Mr. Peres supported Jewish settlement in the West Bank and Gaza — land captured during the 1967 Middle East war. But he focused his later years on promoting a peaceful resolution with the Palestinians based on separate states. Born in modern-day Belarus to a timber merchant and a librarian, Mr. Peres emigrated with his family in 1934 to what was then the British Mandate of Palestine, encompassing much of the territory that is now Israel, the West Bank and the Gaza Strip. His family changed its name from Perski to the Hebrew style of Peres, and young Shimon grew up in Tel Aviv. In 1943, he was elected secretary of the Labor-Zionist youth movement, a grass-roots socialist organization that supported the establishment of a Jewish state. He also became involved in the Haganah, the forerunner to the Israeli military, and in 1953 at the age of 29, was appointed as director-general of the Defense Ministry by David Ben-Gurion (who was the primary founder of the State of Israel and the first Prime Minister of Israel). A succession of posts at the ministry marked Mr. Peres as a man dedicated to Israel’s security. During his tenure there, Israel invested in developing a secret nuclear weapons program, which critics said contributed to regional instability, a notion that Mr. Peres bristled at in later life. “Pakistan did it before us, and India,” he told The Wall Street Journal in 2007. Israel officially neither confirms nor denies it has nuclear weapons. The development of nuclear capabilities “helped us achieve peace with Egypt,” he added, referring to the peace agreement signed in 1979 after the two countries had fought three wars. Mr. Peres became acting prime minister in 1977 when Yitzhak Rabin was forced to step down over a scandal about his wife holding a bank account overseas, which was illegal at the time in Israel. As acting prime minister, Mr. Peres lost national elections later that year (1977), the first time the Labor Party was defeated since the founding of the state under Mr. Ben-Gurion. The election marked the beginning of a period of political dominance for the winners, the Likud party, led today by Prime Minister Benjamin Netanyahu. 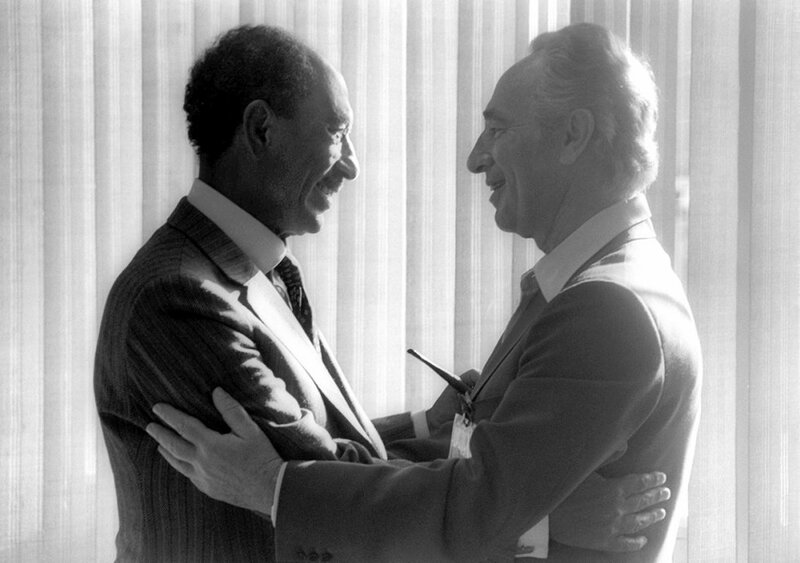 After the Labor Party returned to power in 1992, Mr. Peres was appointed foreign minister under Prime Minister Rabin, with whom he had a strained relationship. The two of them conducted negotiations with the Palestine Liberation Organization, headed at the time by Yasser Arafat. Those contacts led to the signing in 1993 of the first Oslo Accord. A year later, Prime Minister Rabin was assassinated by a Jewish extremist. Messrs. Peres and Rabin had hugged each other at a rally for peace in Tel Aviv, moments before Mr. Rabin was shot dead, recalled Yossi Beilin, a longtime ally of Mr. Peres and former deputy foreign minister. “They hated and respected each other right until the last moments of Rabin,” said Mr. Beilin. Mr. Peres’s death came at a low point for efforts to resolve the Israeli-Palestinian conflict. The last round of peace talks collapsed in 2014. Palestinian leaders refuse to enter negotiations unless Prime Minister Netanyahu freezes construction of Jewish settlements in the West Bank. Palestinian terrorist attacks agains Israelis continues. Israel withdrew from Gaza in 2005 and has since fought three wars that were started by Hamas, which controls the Palestinian territory. Mahmoud Abbas, president of the Palestinian Authority, which administers the West Bank, told the United Nations General Assembly in September 2015 that Palestinians no longer considered themselves bound by the Oslo Accords because of what he said was Israel’s failure to implement them. In the wake of Mr. Rabin’s assassination, Mr. Peres ran for prime minister in 1996 against Mr. Netanyahu. Initially commanding a wide lead in the polls, he and his party soon lost their footing. Hamas launched a string of suicide bomb attacks and voters responded to Mr. Netanyahu’s tough talk on security. Mr. Peres lost the race by a small margin. Mr. Peres’ election losses lent him an image as a weak campaigner. His involvement in initially pushing settlements in the West Bank and in Israel’s arms buildup also tarnished his image among some liberal-minded Israelis. Mr. Peres remained a force in Israeli politics throughout the start of the 21st century, and was voted president in 2007 by the Knesset. He never gave up on trying to advance peace with the Palestinians. Read about Israel’s Six Day War.